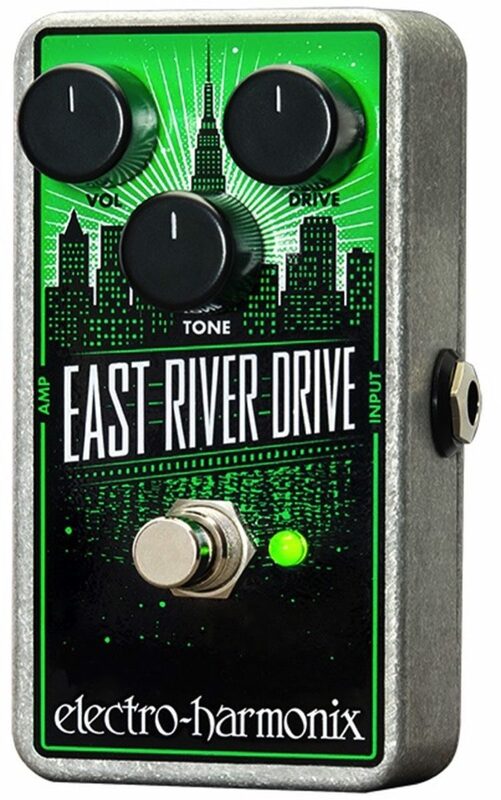 The Electro-Harmonix East River Overdrive Pedal is a classic overdrive in a JRC4558 IC that’s as bold as New York City. The symmetrical overdrive adds edge and gain without compromising tone. Volume and Drive take it from sweet to searing while Tone lets you dial in just the right amount of bite to cut through the mix. Overall: I think it sounds better then a ts808 great boost for bluesy leads. Just buy it you will love it once you get it dialed in.